Try out the free version now and discover Beethoven's iconic 9th Symphony in a new, interactive way. Beethoven's 9th Symphony is a wonderful new iPad app celebrating this famous and loved piece of music. I've never been a big fan of classical music but something about the look of this app grabbed me and I decided to give it a look. Wow, I am so glad I did. This is just a fantastic app, even for someone like me who's not knowledgeable about the music . . . with the amazing ability to switch instantly between each performance at any point in the piece . . . The app also includes a treasure-trove of specially filmed video interviews with musicians, writers and great conductors discussing Beethoven and his masterwork . . . gripping: The music itself of course . . . Superb real-time note-by-note commentary in a bottom bar on the screen . . . The superb 'Insights' section . . . The video of the Bernstein performance. I've never taken time to watch this sort of thing before and I've found it compelling viewing.The app supports AirPlay, so you can fire it up onto a big HDTV as well.
. . . one of those fantastic apps that shows you why the iPad was created . . . This impressive product has in fact taken the technical possibilities of an app and worked upwards from there -- as opposed to making a pre-conceived idea fit the format in retrospect . 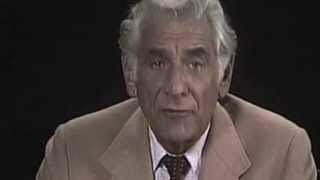 . . after all this in-depth insight into manuscript choices, pitch considerations and metronome markings, comes a remarkable excerpt of Bernstein talking about the symphony in 1979. He roots the symphony in philosophy and faith in a deeply personal, open-hearted manner that I simply can't imagine any of today's musicians matching . . . Bernstein concludes: '. . . Beethoven is struggle, the struggle for peace, for fulfilment of spirit, for serenity and triumphal joy. He achieved it in his music -- not only in his Ninth but in all his symphonies, and in his quartets and piano sonatas, and trios and concertos. Somehow it must be possible for us to learn from his music by hearing it: no, not hearing but listening to it, with all our power of attention and concentration.' There can surely be few better partners in such a journey than this new app. Aside from having four stellar recordings of the 9th . . . [it] is of course revealing to hear the differences in conducting from performance to performance, but the differences seem even more stark than if you had simply switched CDs or even mp3s because the shift is so seamless. How much more varied the differences of shape, tone, and tempo when so closely juxtaposed . . . the app also includes brief interviews which you can separately watch . . . There is great variety among these discussion and they're genuinely revealing about the 9th . . . It's treat enough to hear Sir John Eliot Gardiner talking about Beethoven, but it's just plain fun to see him perk up when a favorite part is coming up. Overall, this is a brilliant app, a combination of CD recording, DVD performance, score, manuscript, program notes, and analysis, all wrapped up in a smooth, slick interface that lets you cycle through it all with ease and bring up exactly what you want at any moment during the piece. Not bad for $15. The app is absolutely bursting with features and content beginning with four recordings of Beethoven's 9th Symphony to fully connect to. You can switch between all four in real time without missing a beat, and you have a brilliantly designed view while listening . . . When you go into this app, you may just think of Beethoven's 9th Symphony as "Ode To Joy" with the single familiar sequence, but after diving into the app you will have a whole new appreciation for how much depth there is, and what a remarkable artful expression it is . . . an expertly crafted app that can provide new appreciation for an astounding piece of music.
. . . a music education app that really makes the iPad shine . . . this app will give you a music lesson you won't soon forget . . . it is worth the price . . .
. . . excellent . . .
. . . an epic iPad app that lets you explore one of the greatest symphonies ever written in a unique, compelling way. Classical music lovers will definitely want to check it out. "Beethoven's 9th Symphony" uses every trick in the multimedia tool box . . . Having the four concerts in sync for comparison is unique and valuable. This app is a great experience for adults and young musicians. I can't think of a better way to share this musical treasure in such depth . . . If you're interested in classical music, I think this is an app you will return to again and again. There's a lot of information, as well as the visual and sonic joys.
. . . [the] App features four of DG's greatest recordings of this iconic work . . . The technology available to the user in this app shows how individual our greatest recordings of this iconic symphonic masterpiece are . . . Certainly one of the most addicting apps I've downloaded in quite some time . . . "Beethoven's 9th Symphony" will make you fall in love with Beethoven all over again . . . the most enlightening way to hear and watch the music . . . Sing a song of joy . . . revolutionary technology . . .
One of the most compelling features is the ability to move among four different recordings of the symphony . . . The Beethoven's 9th Symphony App features four of DG's greatest recordings of this iconic work, with the amazing ability to switch instantly between each performance on-the-fly . . . two hours of specially filmed exclusive interviews with conductors, musicians and writers, offering fascinating perspectives on what this greatest of works means to people around the world.
. . . [this] new app not only provides excellent running commentary as the symphony plays, but also lets you compare four different versions, skipping from one to the other without missing a beat in an intuitive interface. The effect is to open up the music, revealing that interpretation makes a difference that is both subtle in the moment and profound over the course of the symphony . . . experiencing the Ninth through the app changes your experience of the symphony. It turns it from a passive yet compelling listening experience to an active one . . . Apps such as these offer a better way of understanding music and recording . . .
. . . my iPad sucked me deeper into Beethoven's Ninth Symphony than I thought possible . . . an app devoted to the work that rendered me slack-jawed with wonder, like a Victorian on his first visit to a cinema . . . The technology is a marvel . . . the four recordings are aligned so that you don't miss a nanosecond of music by switching from one to the other. Very cool . . . the lurch to 'period' pitch and tempo makes you feel as if you've stumbled into a different piece of music -- light, thrilling . . . the app's most delicious gimmick: a 'beat map' of the orchestra in which each instrument is represented by a dot that throbs when it's playing. The pulsating dance produced by Beethoven's manic scherzo is especially fun to watch . . . I'm happy to leap between the four recordings, learning more about orchestral phrasing in the process than in 30 years of laborious comparisons between LPs or CDs. I only wish the app had been around when I was younger . . . the Beethoven Ninth app has even more potential to change minds, because classical music in British schools is far more dumbed-down than English literature. Michael Gove doesn't have the money or the time to train a new generation of music teachers. Perhaps he could sack a few and give their pupils this app instead. Did I mention that it costs less than a tenner?
. . . astounding . . . All fascinating . . . this is a terrific app . . . I could not recommend it more highly. The more you explore, in fact, the more you discover about how each interpretation is actually rather distinct . . . a wonderful supplement to any advanced music class or even a more introductory approach within an arts subsection . . . The UI is flawless, and the perspectives shown in the videos could not be matched even with house seats. The information is accessible, never dry, and makes classical music come to life . . . [the app] will take those already headed towards classical music on a breathtaking chronological tour of Beethoven's tour de force and it should convince even the most cynical teen that both the composer and the symphony have musical merit beyond their expectations.
. . . delightful and easy to use . . .
. . . contains multitudes, brilliantly leveraging the interactive possibilities of digital multimedia to redefine the parameters of music scholarship . . . a remarkable achievement, and let's hope it opens up the floodgates for likeminded apps moving beyond Beethoven to . . . other composer luminaries. All the music is crisp and brilliant as these are highly praised recordings. Everything runs smoothly, and you can continue to listen to each movement after you go back to home screen . . . Absolutely worth it.
. . . the most fascinating aspect of the app is the complete performance, or rather, the four performances that you can cut between as you're listening . . . The app provides an ideal way to experience the developing ideologies and standards of orchestral playing over the last half century . . .
Just a decade ago, it would have taken three or four reference books, a couple of DVDs and the deft handling of four sets of CDs to even begin to approximate the possibilities contained in this app. . . My favourite feature from the experience is being able to switch between performances on the fly . . . It's also fun to play pitch-change between the modern orchestras and the period instruments. This whole experience is a laugh-out-loud-at-its-beauty showcase of the wonders awaiting the world of art music in the early 21st century. Every so often I see something so incredible and exciting and magnificent, I practically trip over my feet running to write about it . . . [the App "Beethoven's 9th Symphony"] is one of those things . . . [It] is essentially everything you could ever hope for in an app examining, arguably, the most important work of music of all time. It is well thought out, digs deep enough into theory and history, and presents the information in a multitude of ways . . . Four great recordings . . . The variations in each are delightful and it's fun to pick out the nuances and changes that make up your favorite . . . It's difficult to imagine how the app could be improved, it is a companion worthy of the masterpiece it chronicles.
. . . a phenomenon . . . the most amazing feature is the ability to toggle among the performances without losing a beat. Differences of tempo and interpretive detail are instantly apparent . . . It may be the wondrous technology that has attracted buyers as much as the content conveyed, but that, too, is tremendous, and it is good to get it into people's hands, whatever the mechanism. In a broader sense, with music education drying up on so many fronts, it is wonderful to see . . . Touch Press opening dynamic and richly promising new avenues. Who would have thought, even five years ago, that you could switch between four landmark performances of Beethoven's final symphony while following a score, look at the original manuscript itself, or see footage of John Eliot Gardiner or Leonard Bernstein talking about the piece -- on your phone? Touch Press teamed up with Deutsche Grammophon to create "Beethoven's 9th Symphony", winner of the new BBC Music Magazin App Award. Wie schön, dass es jetzt eine App für iPhone und iPad gibt, die künftigen Musikwissenschaftlern und Laien das Leben in doppelter Hinsicht erleichtern kann . . . verschiedene Partiturversionen [stehen] zur Auswahl, die im Takt der Musik mitlaufen. Das ist lustig und erleichtert dem Anfänger das Partiturlesen.
. . . eine umfangreiche, wunderbar vielseitige und kreative App zur 9. Sinfonie . . . die App zahlt jeden Cent durch Information und Konzertmitschnitte zurück . . . Beethoven's 9th Symphony wird einem der bekanntesten und bedeutendsten Stücke der Klassik gerecht. Die Tiefen der App sind dem Preis der Vollversion komplett angemessen . . . Besonders überzeugte uns die grafische Darstellung der Sätze. Es ist eine App für Musikfreunde und solche, die es werden möchten -- und alle, denen die Klassik wohlige Schauer über den Rücken laufen lässt. Nicht nur für Beethoven-Fans ist die Musik-App Beethoven's 9th Symphonie zu empfehlen . . . [sie] ermöglicht Musikinteressierten einen beispielhaften Einblick in ein komplexes Orchesterwerk . . . ein gutes Geschenk für Klassik-Fans . . .
. . . [eine] gelungene App . . .
. . . ein sehr charmantes und sachkundiges Programm . . . ganz einfach . . . Hinter dieser Einfachheit verbirgt sich eine große Komplexität, die Hören und Sehen sehr inspirierend vereint. Ohne viel Vorwissen kann man schon nach ein paar Minuten verstehen, was Beethoven mit seiner 9. eigentlich meint. Und das lernt man ohne große Anstrengung. Aber der Reihe nach. Am meisten Spaß macht mir die Zeitleiste mit den Aufnahmen . . . [die Texte] sind gut und zum Teil auch lustig, weil sie Musikwissenschaftliches in eine bildhafte Erzählung packen . 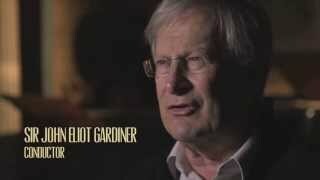 . . Ein Highlight ist auch, dem Dirigenten John Eliot Gardiner zuzusehen und zuzuhören, wie er den zweiten Satz der Sinfonie über Kopfhörer hört. Seine Kommentare, seine Bewegungen zur Musik, sein Lächeln: köstlich . . . Das Schöne an dieser App ist: Alles ist darauf ausgelegt, diese Musik zu einem fühlbaren und nicht eben bloß intellektuellen Erlebnis zu machen. Klug, verspielt, tiefgründig, seriös gemacht und sympathisch -- in einer Mischung, wie man sie selten findet.
. . . faszinierend ist vor allem, dass er sich dem grandiosen Werk Beethovens -- über das Hören hinaus -- nach eigenem Gutdünken nähern kann. Mit der Beethoven-9-App landeten Deutsche Grammophon und Touch Press einen echten Coup. Das Angebot, das vier legendäre Einspielungen von Beethovens neunter Sinfonie aus den Archiven des Gelblabels bietet und auf dem vier verschiedene Partituren zum interaktiven Mitverfolgen der Musik bereitstehen, erfreut sich großer Beliebtheit bei Nutzern von iPhone, iPad und iPod touch. Bereits über 700.000 Mal wurde sie bisher auf der ganzen Welt heruntergeladen, in der ersten Woche nach Ihrem Erscheinen landete sie in den USA, Kanada und Korea sogar in einer Top-Ten-Position in den Free App Charts aller Kategorien. 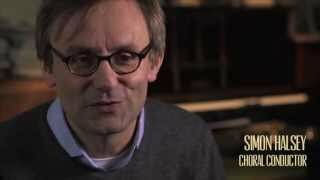 Für die große Akzeptanz dürften nicht zuletzt auch die informativen Video-Interviews mit berühmten Experten wie den Dirigenten Leonard Bernstein, Gustavo Dudamel und John Eliot Gardiner sorgen.
. . . [es ist der Spagat gelungen,] sowohl Kenner klassischer Musik als auch Liebhaber und Laien zufriedenzustellen. Mit dieser ebenso intelligenten wie aufwendig und spielerisch gestalteten, multimedialen Möglichkeit kann man Beethovens 9. Symphonie auf eine neue, anregende Weise kennen lernen, anhören, betrachten . . . Diese ungeheuer vielfältige App spricht alle Sinne an, sie ermöglicht die unterschiedlichsten Herangehensweisen . . . lustvoll, spielerisch, intellektuell und ohne besondere Vorkenntnisse . 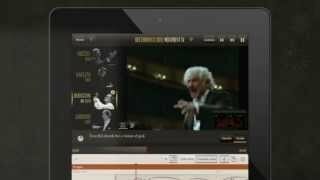 . .
Watch a trailer for Beethoven's 9th Symphony, the full iPad experience. Deutsche Grammophon, in partnership with Touch Press, the company behind the acclaimed iPad apps The Orchestra and The Elements, proudly announce the release of Beethoven´s 9th Symphony, available now on the App Store for iPhone, iPad and iPod touch. 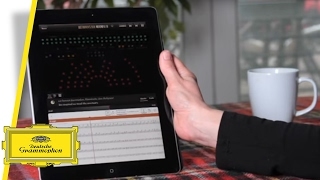 Watch a video "Beethoven's 9th Symphony, a walk-through of the full iPad experience". Dudamel is one of great conductors. 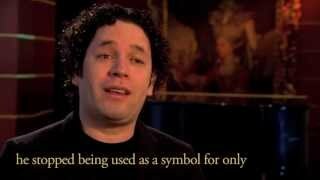 here he speaks about Beethoven´s 9th Symphony, universality and what the piece means to him. 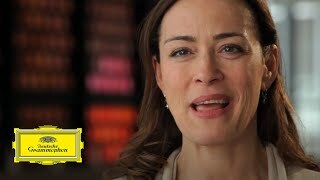 This is a brief extract from Sarah Willis´ longer interview in the Beethoven 9 app (iPad version), where she comments on the famous theme of the final movement. Simon Halsey is one of the world´s leading conductors of choral repertoire. Sir John Eliot Gardiner, one the most versatile conductors of our time speaks about Beethoven´s courage in composing the 9th Symphony. Broadcaster Suzy Klein is well known for presenting classical music programmes and BBC Radio 3´s drive time show, In Tune. 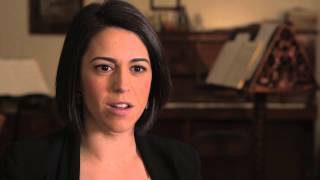 Here she talks about the beginning of the piece, and how it´s much more than The Ode to Joy! This is a brief extract from Stanley Dodds´ longer interview in the Beethoven 9 app (iPad version), where he comments on the 2nd violins leading out the 2nd movement. Die Beethoven-9-App bietet vier der größten DG-Aufnahmen dieses Kultwerks - geleitet von Leonard Bernstein, John Eliot Gardiner, Ferenc Fricsay und Herbert von Karajan. Sie verfügt über die bahnbrechende Funktion, zwischen den einzehlen Aufnahmen zu wechseln, ohne einen Ton zu verpassen.